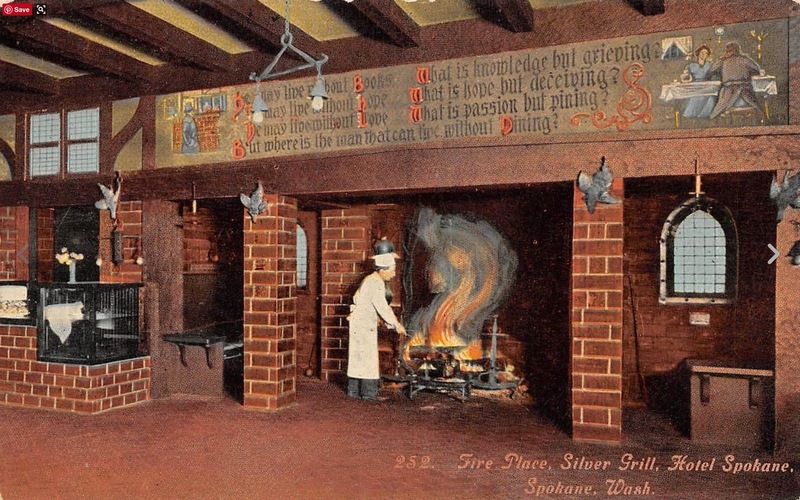 The Famous Silver Grill and Coffee Shop. 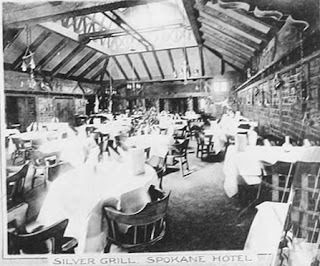 L-C Class Dinner Parties. 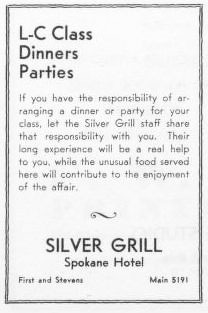 If you have the responsibility of arranging a dinner or party for your class, let the Silver Grill Staff share that responsibility with you. 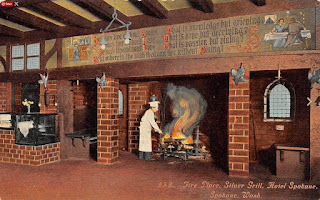 Their long experience will be a real help to you, while the unusual food served here will contribute to the enjoyment of the affair. 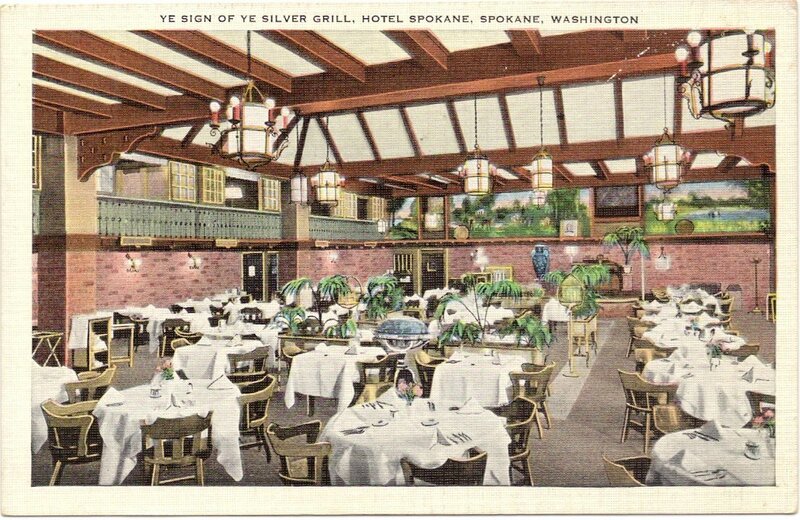 Silver Grill Spokane Hotel. First and Stevens. Main 5191.